The New York Court of Appeal on Tuesday, May 3, held that the Consolidated Edison pro rata allocation rule does not apply where the policies have prior insurance and non-cumulation clauses. The Court held that the pro rata rule in Consolidated Edison depends on policy language and that the prior insurance and non-cumulation clause is inconsistent with a pro rata approach. However, the Court did say that prior insurance and non-cumulation clauses would be enforced as anti-stacking clauses. Such enforcement could limit the amount of coverage available to a policyholder. The Court of Appeal also held that under the circumstances of the case, horizontal exhaustion would not apply. To view this decision, please visit the New York Courts website. Duane Morris is pleased to announce that several of the firm’s attorneys will be presenting at the American Bar Association (ABA) Section of Litigation’s Insurance Coverage Litigation Committee CLE Seminar, to be held on March 2–5, 2016, in Tucson, Arizona. Duane Morris is a sponsor of the program and partner Terrance J. Evans is serving as a seminar co-chair. In addition, partners Philip R. Matthews, Ray L. Wong, Lida Rodriguez-Taseff and Jessica E. La Londe and associate Audra L. Thompson will all be presenters at the seminar. For more information about the seminar, please visit the Duane Morris website. Duane Morris congratulates partner Philip R. Matthews on being elected a Fellow of the American College of Coverage and Extracontractual Counsel (ACCEC). The ACCEC is composed of preeminent coverage and extracontractual counsel in the United States and Canada, representing the interests of both insurers and policyholders. As the most selective class of ACCEC membership, Fellows must be licensed to practice in the highest court of their respective state and must have at least 15 years of experience in insurance law. For more information, please visit the ACCEC website. 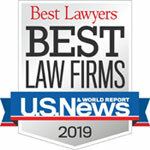 Matthews, of the firm’s San Francisco office, has nearly four decades of experience and has been involved in representing insurers in some of the largest exposures facing the insurance industry during his career, including representing insurers in some of the largest trials and appeals in California. He practices in the area of general civil litigation and insurance counseling and litigation with an emphasis on complex cases, as well as resolving complex insurance coverage disputes through alternative dispute resolution procedures.